...and it got me thinking: a propeller shoves back air, and this creates a forward force on the prop. The prop attached to a shaft, and the prop is tugging on the shaft. Both the shaft and the prop are rotating. The airframe on the other hand is (relatively) stationary. Yet the airframe depends on the rotating prop to pull it in the desired direction of trust. 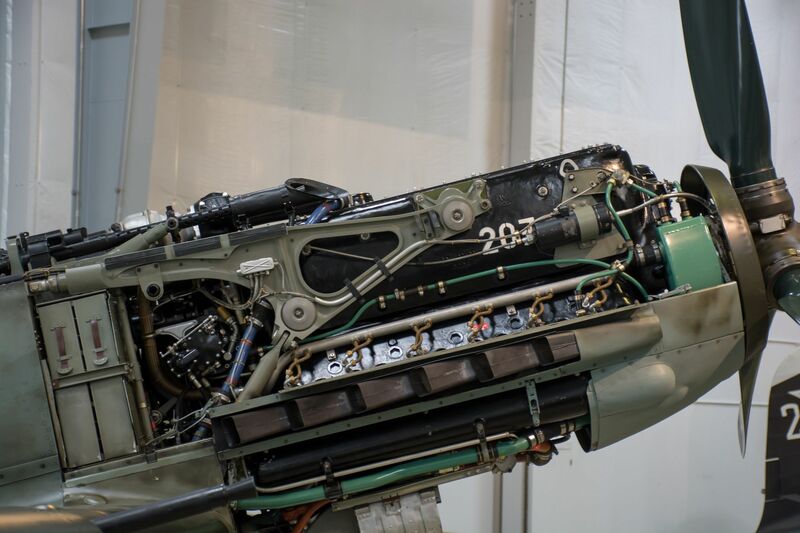 This means there is an interface somewhere, between the rotating shaft and the rest of the engine, and that interface transfers all the thrust of the propshaft to the engine, and then the engine in turn transfers that force to the air frame. That to me sounds like the mother of all bearings! What does such a bearing look like?! Or is there some other mechanical principle/device in play? The engine mount is an important component that transfers the prop thrust to the airframe. It's clearly visible in this photograph of a fast and powerful plane, a Bf109. Of course, bearings transfer thrust between the rotating and static parts. That is common to all engine-propelled vehicles, ships, cars, planes... 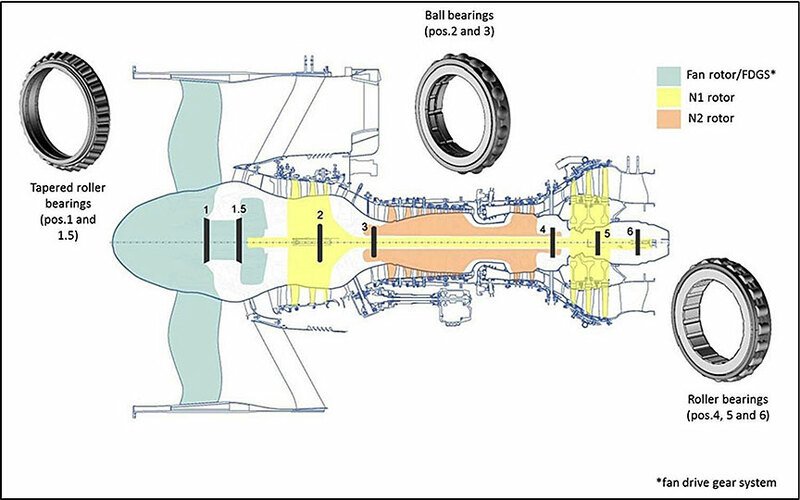 The main thrust load, in the picture showing the turbofan, is taken by the tapered roller bearings. Not the answer you're looking for? Browse other questions tagged propeller turboprop propulsion rotor-head or ask your own question. How does turbojet thrust change with altitude? Does the DC-3 have a prop sync?